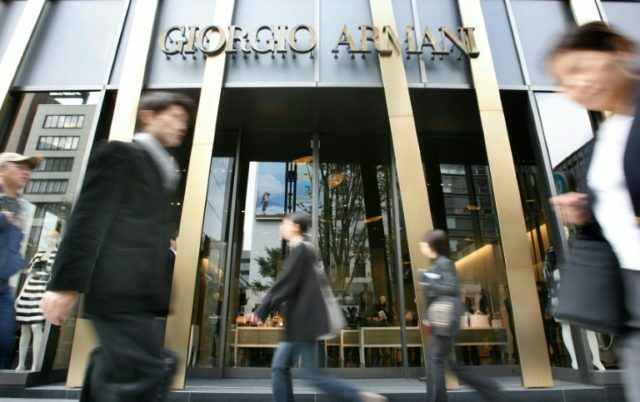 Tokyo (AFP) – A Tokyo school that hit international headlines for introducing an Armani-branded uniform has been forced to hire security guards after several students faced harassment over the pricey kit. Taimei Elementary School in Tokyo’s wealthy Ginza district brought in professional guards this week after at least three of its pupils encountered abusive strangers who pulled their uniforms or asked if they were students of the school, a local district spokeswoman told AFP. Japan boasts extremely safe streets, and guards are rarely seen at school grounds. “Security guards are patrolling area streets that pupils use in the morning and when they go home,” the spokeswoman said on condition of anonymity. The school has faced a storm of public and online criticism over its decision to adopt the designer uniforms from April, with a full set costing parents around 80,000 yen ($760). While the school says the new uniforms are not mandatory, critics said parents would feel compelled to buy them to ensure their children were not left out. Since the decision caught media attention earlier this year, at least one pupil was confronted by a strange adult who pulled the child’s uniform, saying “Is this Armani?”, the spokeswoman said. In two other cases, strangers asked pupils if they were from the school, she added. The school administration reportedly said the outfits were a bid to tie the 150-year-old school to the upscale Ginza district where it is located. The uniform features sharply tailored blazers as well as add-ons like bags that can push the total set’s cost to around 90,000 yen, a price critics said was too expensive for uniforms for fast-growing children.